The Honor 8A will be a direct successor to the Honor 7A from last year. Last week, several variants of the entry-level Honor 8A were certified by the Wi-Fi Alliance. The smartphone had also been certified by TENAA last month. Honor has now officially announced that the smartphone will be launched in China on January 08. As you may have guessed by its name, the Honor 8A will succeed the Honor 7A. The Honor 7A was launched in China in April last year and made its way to the Indian market a month later. 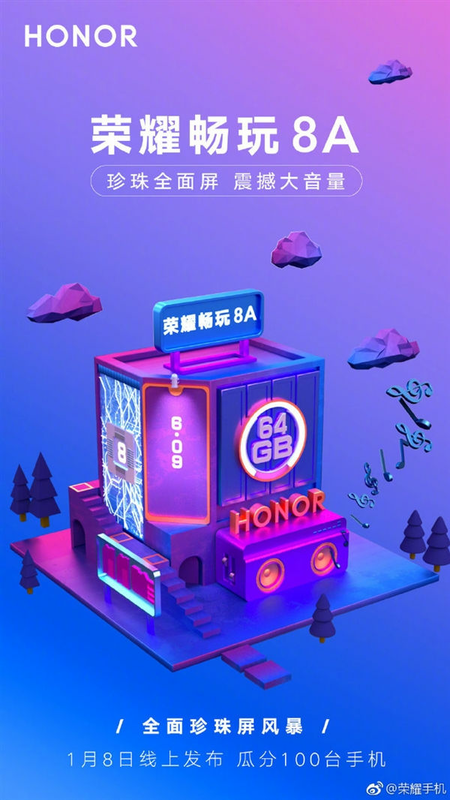 The Honor 8A launch poster confirms the smartphone will be available with 64GB of internal storage. Previously, it was rumored that the handset will be available in 32GB and 64GB storage variants. Aside from that, the poster also seems to suggest the Honor 8A will have impressive audio performance. Since the current Honor 7A has dual speakers, there is a strong possibility that the Honor 8A may also come with stereo speakers. A waterdrop notch design has been confirmed as well. 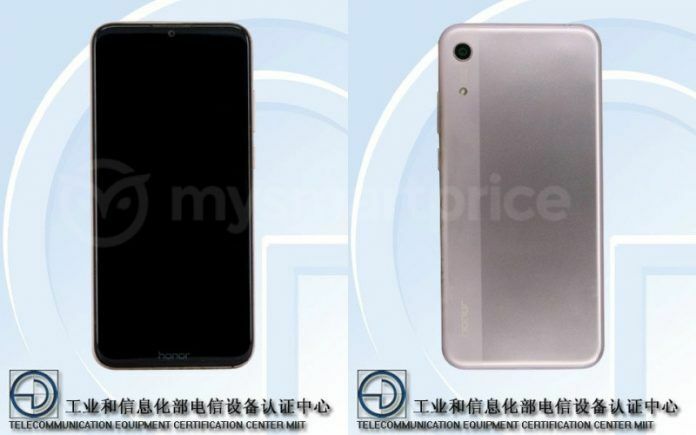 As revealed by the smartphone’s TENAA certification last month, Honor 8A will feature a 6.09-inch display with 720 x 1560 pixels HD+ resolution. Thanks to the waterdrop notch design, the Honor 8A is expected to have a significantly higher screen-to-body ratio than its predecessor. Powering the Honor 8A will be an octa-core processor clocked at 2.2 GHz. In the memory department, the handset is expected to come with 3GB of RAM and 64GB of internal storage. For further storage expansion, we expect the smartphone to have a microSD card slot. In the camera department, TENAA claims the entry-level smartphone is equipped with a single 13MP camera at the rear and an 8MP selfie camera on the front. 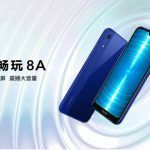 The standard Honor 8A is not expected to have a fingerprint sensor at the rear, although it is definitely possible that it will offer Face Unlock support. Fueling the internals of the handset will be a 2920mAh capacity battery, which is more or less on par with most entry-level Android smartphones on the market currently. In terms of physical size, the Honor 8A will measure 156.28 x 73.5 x 8mm and weigh 150 grams. It will be available in multiple color options at launch, including Black, Red, Gold, and Blue. 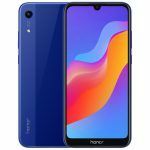 When it comes to software, the Honor 8A will be running on the Android 9.0 Pie-based EMUI 9.0 out of the box. In addition to the Honor 8A, we expect the Huawei sub-brand to launch the Honor 8A Pro as well at the upcoming event in China. Multiple variants of the Honor 8A Pro were certified by the Eurasian Economic Commission (EEC) recently. 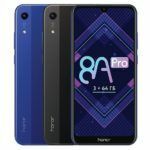 The Honor 8A Pro is expected to be identical to the standard Honor 8A in most areas, although there will be a few key differences as well. Perhaps the most significant difference between the two handsets will be the presence of a rear-mounted fingerprint sensor on the Pro version. As mentioned earlier, the standard Honor 8A will only have Face Unlock support. Apart from a fingerprint sensor, the Honor 8A Pro is expected to come with a dual-camera setup at the rear. While the Honor 8A features a single 13MP rear-facing camera, the Honor 8A Pro may sport a 13MP + 2MP dual-camera setup. It should be noted that the current Honor 7A also features a 13MP + 2MP dual-camera setup at the rear, so it is certainly a little disappointing that the standard Honor 8A will only have a single rear camera.